Changes to the colon that may lead to colorectal cancer appear to be caused by obesity, rather than diet, in mice. The results of this study were recently published in the journal Cell Metabolism. Above normal body weight and obesity are considered to be major risk factors for the development of colorectal cancer, the second leading cause of cancer-related death in the U.S. Paul Wade, PhD, Thomas Eling, PhD, and colleagues from the National Institute of Environmental Health Sciences (NIEHS), fed two groups of mice a diet in which 60% of calories came from lard. One group of mice contained a human version of the gene NAG-1 that has been shown to protect against colon cancer in other rodent studies while the other group did not have the gene. Not only did mice without the NAG-1 gene gain weight compared to the NAG-1 group, the acetylation patterns in their colon cells resembled those from mice with colon cancer. 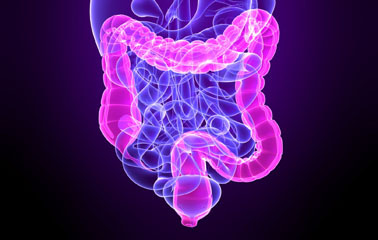 The researchers speculate that the excess weight in the mice triggers more genes connected to the progression of colorectal cancer and causes a fast evolution from preexisting colon lesions to malignant tumors. By exploring more about the role of fat cells in the growth of tumors in the colon, new means of treating colorectal cancer in obese patients could be on the horizon.